For this book, I interviewed quite a few renowned rock musicians, including…Weird Al Yankovic! Weird Al’s quotes are throughout the book on a variety of MTV-related topics, and there is a chapter titled “Weird Al” Yankovic, in which Weird Al discusses the “stories behind the videos” for the clips “I Love Rocky Road,” “Ricky,” “Eat It,” and “Like A Surgeon,” plus his “AL-TV” segments. As the author of such books as, ‘Grunge is Dead: The Oral History of Seattle Rock Music,’ ‘Touched By Magic: The Tommy Bolin Story,’ and ‘A Devil on One Shoulder and an Angel on the Other: The Story of Shannon Hoon and Blind Melon,’ Greg Prato has two new titles that are now available for purchase. 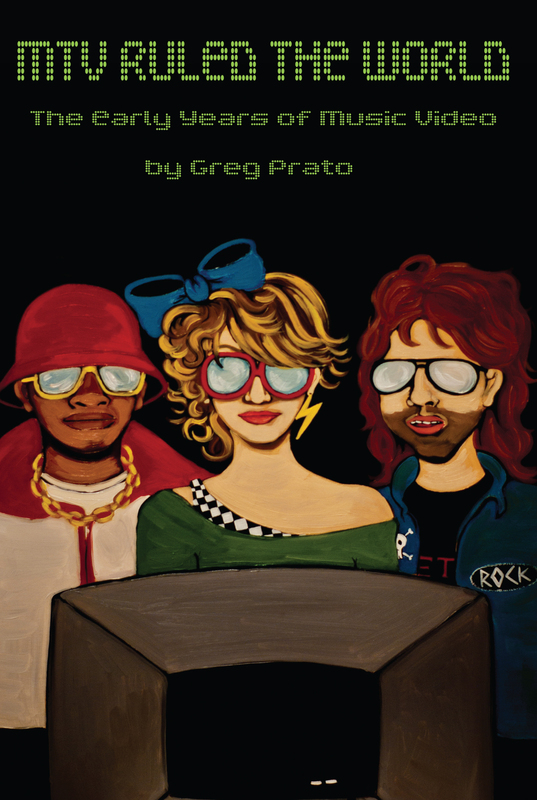 The first, ‘MTV Ruled the World: The Early Years of Music Video,’ is the first-ever book to focus solely on the channel’s important building-block years, specifically from the MTV’s launch to when its original group of VJs left the channel. Comprised of over 70 all-new interviews (“Weird Al” Yankovic, Daryl Hall, John Oates, Joe Elliott, Phil Collen, Rob Halford, Stewart Copeland, Rick Springfield, Jerry Casale, Geddy Lee, Ann Wilson, Chuck D, Alan Hunter, Nina Blackwood, etc. 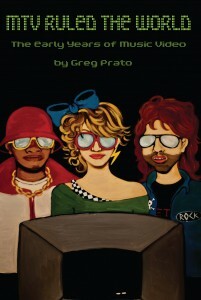 ), the book is not only an eye-opening account of the early years of MTV and the stories behind its biggest videos, but also of the music industry, important music developments/events, and the “Big ’80s” in general. The second, ‘The Eric Carr Story,’ is the first-ever book to tell the life story of Kiss drummer Eric Carr. Comprised of all-new interviews, the book also doubles as a study of 1980’s era Kiss. You’ll find insight into all of Kiss’ albums that featured Carr (from producers Bob Ezrin, Michael James Jackson, and Ron Nevison), as well as those closest to him (sister Loretta Caravello, girlfriend Carrie Stevens, Kiss guitarist Bruce Kulick), and music-related friends (Eddie Trunk, Dream Theater’s Mike Portnoy, Anthrax’s Charlie Benante). Also included is one of the last-ever interviews conducted with Kiss’ original manager, Bill Aucoin, and for the first time ever, Kiss fans will be able to learn what the real story line to Kiss’ controversial release ‘(Music From) The Elder’ was all about (thanks to an explanation from Ezrin). With both the 30 year anniversary of MTV’s launch (August 1, 1981) and the 20 year anniversary of Eric Carr’s passing (November 24, 1991) approaching in 2011, what better way to celebrate both subjects than with all-new books? Both books are set up in an “oral history” format (in other words, you’re getting the story straight from the source) and are chock-full of rarely seen (or in many cases, never-before-seen) photographs.